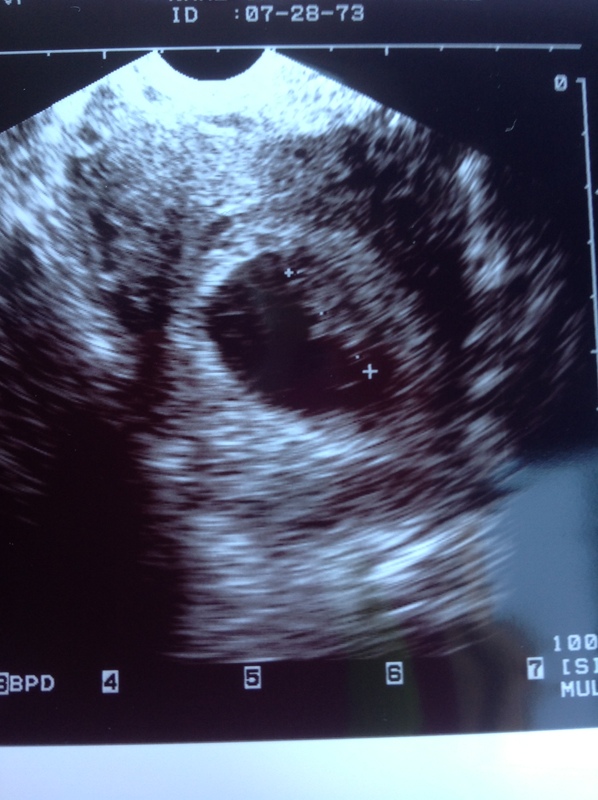 For my 8w3d ultrasound, I was 71% as nervous as my ultrasound two weeks before. Less nervous because I definitely feel pregnant (hunger, fatigue, etc.) but still nervous because who the heck knows what goes on in there?? Dr. T. quickly confirmed that all is well! I saw the heartbeat right away and he clicked here and there and announced that the baby is 23 millimeters. Which is quite a lot bigger than a raspberry which was my most recent fruit of reference for 8 weeks. Which also means that it more than tripled in size in two weeks. Good job, everybody!!! Time stops in these moments. 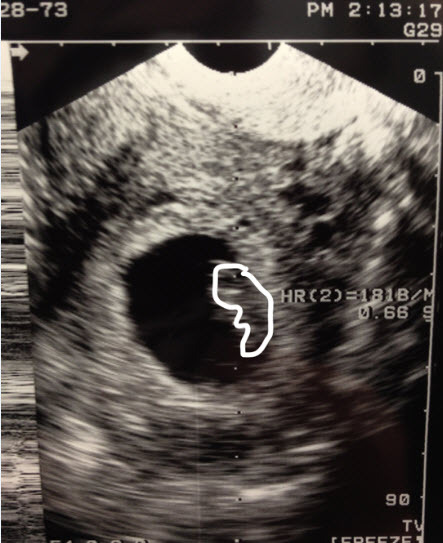 I told Dr. T. that it was a bittersweet moment, being my last appointment at UCSF after a long road, and he said, “You have frozen embryos, you’ll be back.” I also asked him if he delivers babies and he said that by coincidence he just stopped last week. Maybe so we can finally date? (Meanwhile, dating is the actual last thing on my mind.) I thanked him from the bottom of my heart and he said I did a good job. So, I have cleared every last UCSF hurdle and while I do still have 3.5 weeks until the end of the first trimester, I AM breathing a sigh of relief. Because you never know in this life, but it’s looking great. It feels momentous. Now, when people congratulate me or drop off maternity clothes or give me advice, I will more fully believe that this is ME we’re talking about, me and the little outlined character above, not a fictitious story or daydream or what-if scenario. It’s still a process and we still have a long way to go…but today was a big step toward being a real pregnant lady. I feel grateful and sleepy and awe-struck and soon I’ll be hungry again even though I had two lunches. Good times. Thank you, UCSF, Dr. T., Olga, the nurses and embryologists, Maria at the front desk. I am bringing cookies for you all in the coming weeks. And now I enter the next phase of my prenatal care: finding a midwife. Please pass along your recommendations!! Weeks and weeks ago, when I first moved into my new apartment, my sister brought over a “CONGRATULATIONS!” helium balloon and for some reason it’s still flying high. This afternoon, it hopped off a side table in the breeze and planted itself squarely in the doorway. Ohhh……so lovely to think about that little being with mama. Beauty and magic! What a special time. i absolutely love this! congrats solo mamma! It’s getting more real every single day!